Tea, muffins and other home made sweets go well together with handmade clothes and accessories with a retro and hippie look! 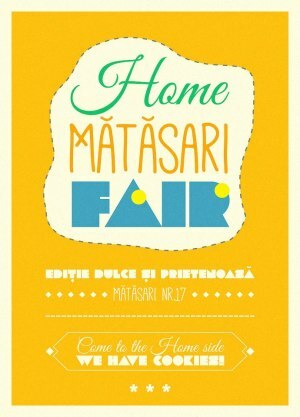 "Home Matasari Fair" Fair in Bucharest. You can get here description, reviews, address, time and details of "Home Matasari Fair" Fair in Bucharest. Visit Bucharest Tips for more Fair events in Bucharest!